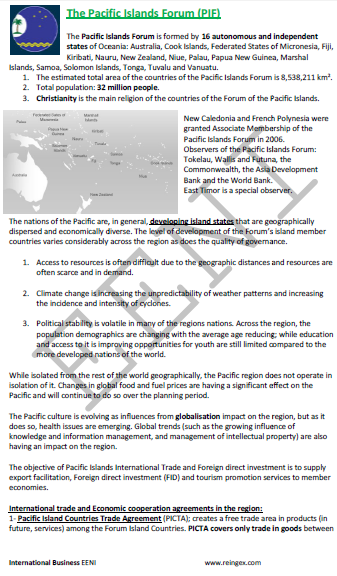 Syllabus of the Online Course (Subject): Pacific Islands Forum (PIF) (Australia, New Zealand, Papua New Guinea). Description of the Online Course: Pacific Islands Forum (PIF). The Pacific Islands Forum (PIF) consists of Australia, Cook Islands, Federated States of Micronesia, Fiji, Kiribati, Nauru, New Zealand, Niue, Palau, Papua New Guinea, Marshall Islands, Samoa, Solomon Islands, Tonga, Tuvalu, and Vanuatu. New Caledonia and French Polynesia were granted Associate Membership of the Pacific Islands Forum in 2006. 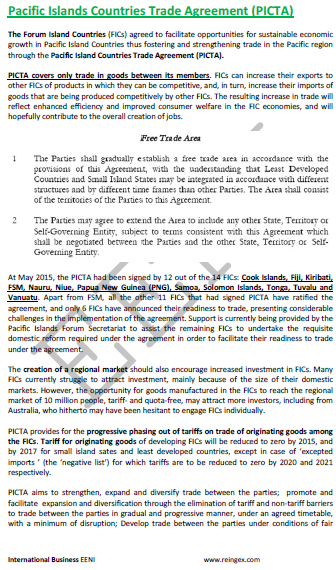 The Pacific Island Countries Trade Agreement (PICTA), creates a free-trade area in products (in future, also in services) among the Countries of the Pacific Forum Island: The Cook Islands, Fiji, Kiribati, FSM, Nauru, Niue, Papua New Guinea, Samoa, Solomon Islands, Tonga, Tuvalu, and Vanuatu. 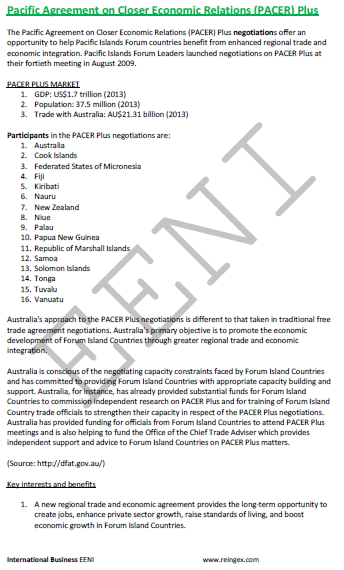 The Pacific Agreement on Closer Economic Relations (PACER) Plus, an economic and foreign trade cooperation agreement between Australia, Cook Islands, Federated States of Micronesia, Fiji, Kiribati, Nauru, New Zealand, Niue, Palau, Papua New Guinea, the Republic of Marshall Islands, Samoa, Solomon Islands, Tonga, Tuvalu, and Vanuatu. 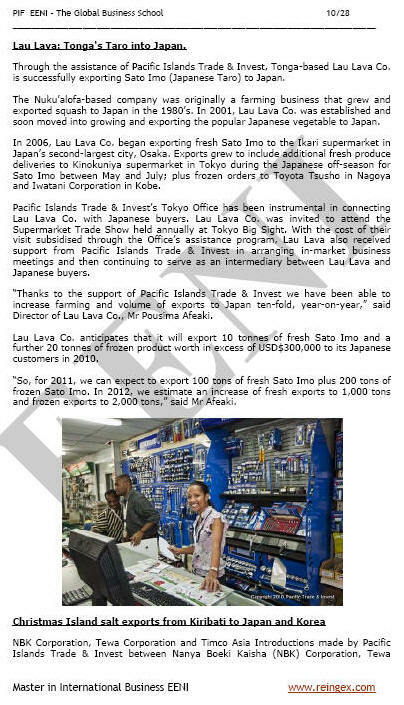 The objective of the Pacific Islands International Trade and foreign direct investment is to supply export facilitation, foreign direct investment, and tourism promotion services to the member economies. See also the Oceania Customs Organisation (OCO).